manage their changing track every day. Change of Track. Meanwhile this name is programme. Since the beginning of 2016 we, Markus Paulußen as photographer and Anke Breuer as textwriter, together with Marie-Luise Esser of the German Multiple Sclerosis Society of Cologne (DMSG) are working on our honorary photo-text project. 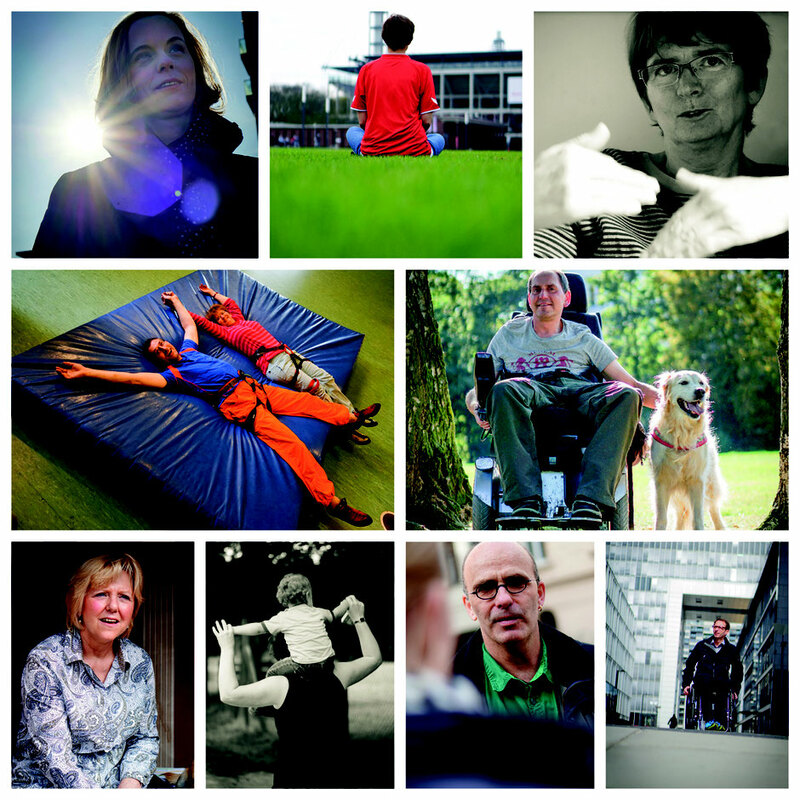 We are finally showing people affected by MS, family, friends and interested parties the “1000 faces of the multiple sclerosis” in form of real faces and stories. Like you and me. With our first participants, our MS pilots, we managed to arrive punctually at the NRW-starting-performance of the World-MS-Day in the Rautenstrauch-Joest-Museum in Cologne and to exhibit there our first change of track results. Full of pride we would like to introduce to you the second round of track changers, who complement our exhibition in an excellent way. Again we had the pleasure to get to know four people with very different stories and one thing in common – namely the disease MS. And again we experienced an intensive time full of fun, thoughtful moments and interesting key experiences. We also would like to present our Change-of-Track in other cities! Because we, the MS Track Changers with our stories, are everywhere!